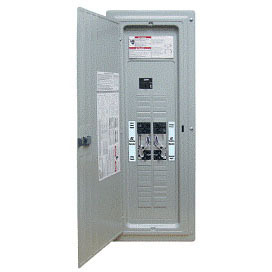 200amp, main breaker, 40-circuit, Siemens indoor residential electrical distribution panel. Built in automatic Generac 125amp transfer switch. Every home should be wired ”GenReady” by Generac Power Systems.